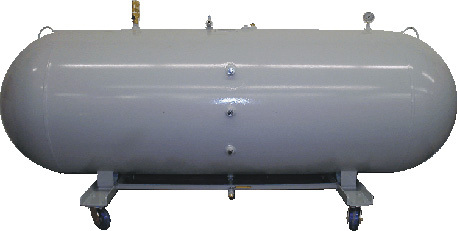 High capacity storage tanks accept complete high or low pressure refrigerant charges from large chillers. 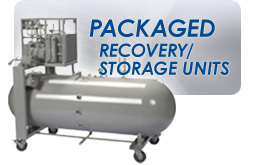 Liquid & Vapor ports: Threaded connections with isolation ball valves are supplied standard. Ball valves may be substituted with quick connect fittings on LP tanks only. 3/4” connections accomodate Lovac, Allvac, or Evac Commercial recovery units.